Just weeks before Jutland, HMAS Australia, suffered a cruel fate at the hands of her sister ship, New Zealand, in a ramming incident in bad weather conditions. It caused considerable ill-will between the ships’ companies. HMAS Australia was launched in 1911 and commissioned as the flagship of the Royal Australian Navy (RAN) in 1913. Her immediate role in the naval war was hunting for Admiral Graf Spee’s German East Asia Squadron. She was diverted to New Guinea and Samoa and, as a consequence, could not take part in the destruction of the German force. 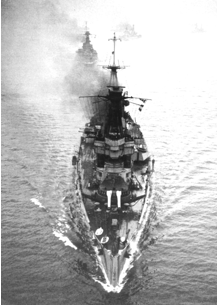 And, because she was out of action at Jutland, is reputed to have only fired her guns on two occasions. Once in January 1915, against a German merchant vessel and in December 1917 at a suspected German submarine.